My worst comedown? Well, one time I was giving a graduation speech and started crying because I was coming down from a 2 day binder of cocaine, ecstasy and meth. How about u lol? My worst comedown? 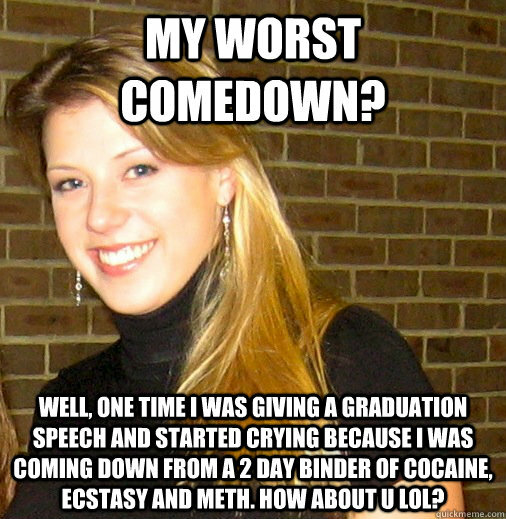 Well, one time I was giving a graduation speech and started crying because I was coming down from a 2 day bender of cocaine, ecstasy and meth. How about u lol?